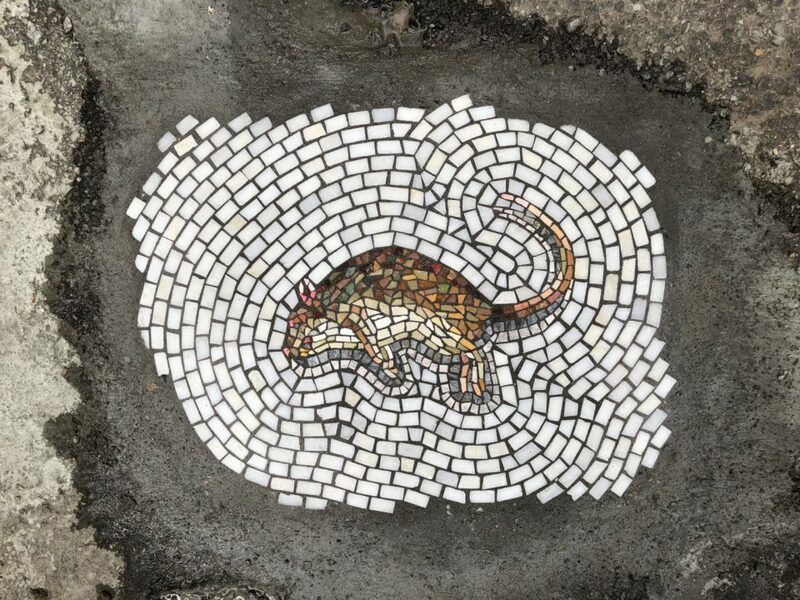 New York City’s most loathed and celebrated vermin are preserved for posterity in a series of new pothole mosaics by artist Jim Bachor. 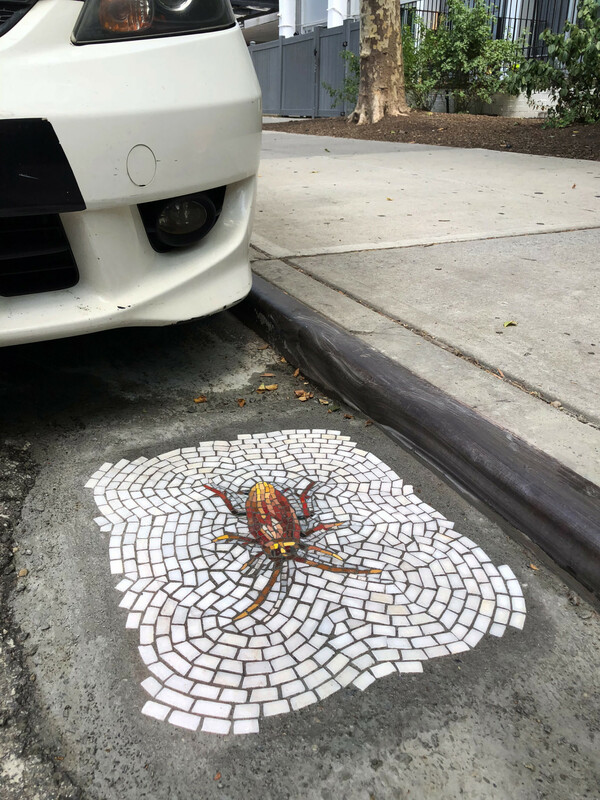 Inspired by the legendary grit of the city and the bottom-feeding inhabitants that plague its streets, the Vermin of New York series consists of classically styled mosaics depicting dead rats and pigeons, a cockroach and a President. Oh, and Bachor threw in a bouquet of flowers for a little color. 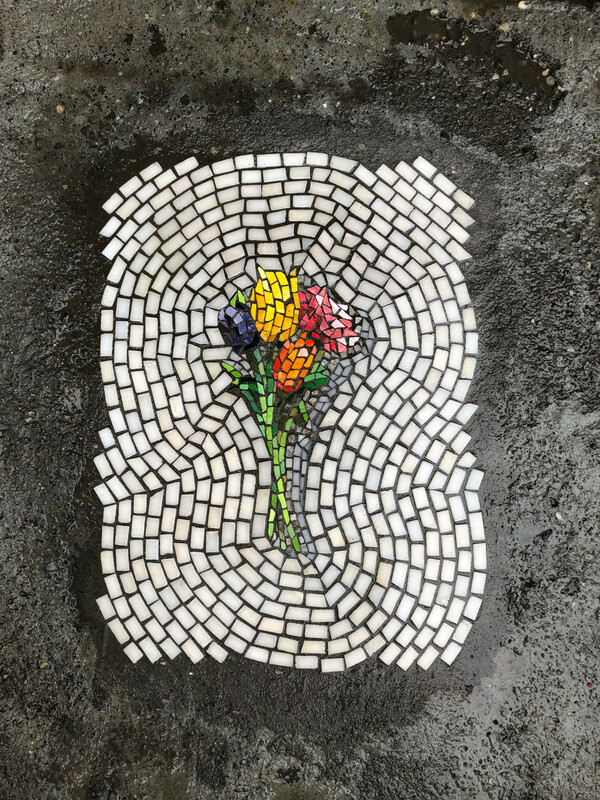 Vermin of New York is just the latest of twelve pothole mosaic series, many of which were installed in Chicago. 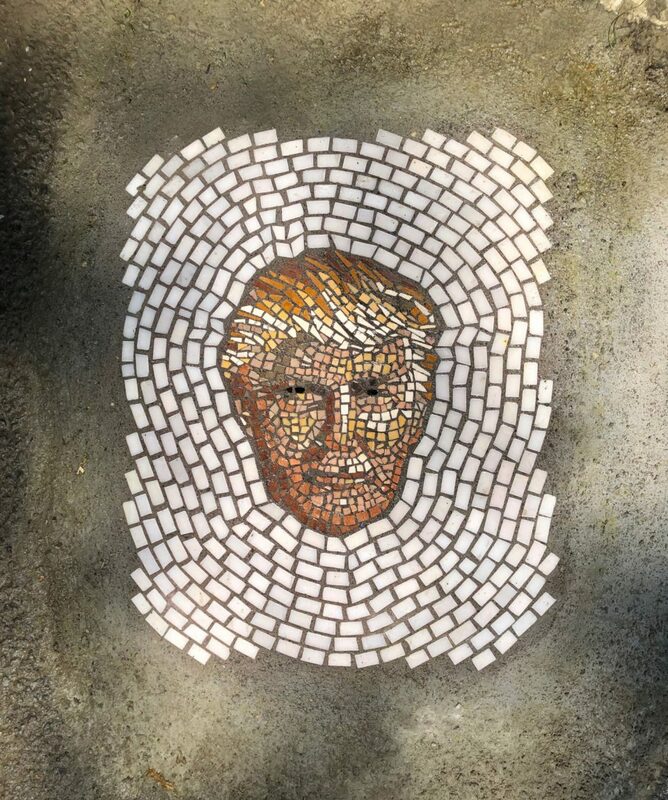 Interestingly, though most of his pieces have been left as-is (he’s doing a public service, after all, filling the potholes for free), the New York City transportation department removed the portrait of Donald Trump (along with the bouquet and the cockroach.) The others seem to still be in place. 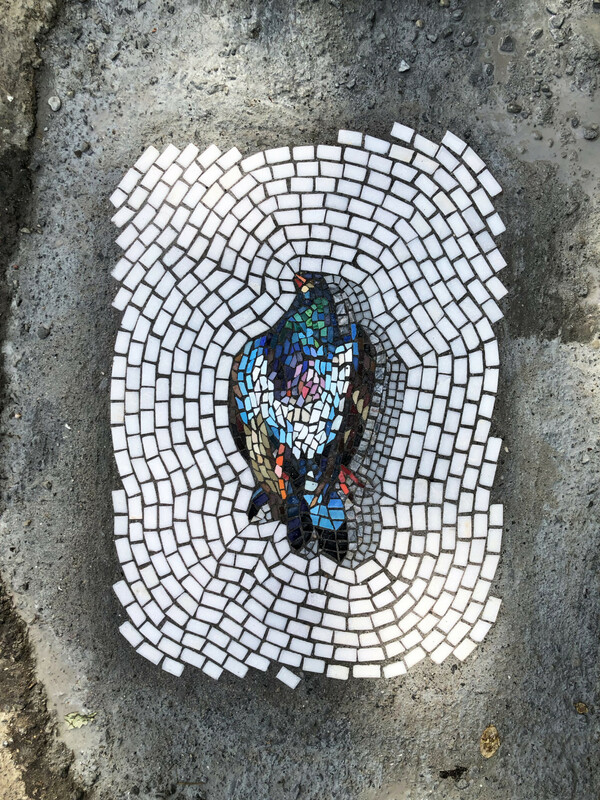 Bachor uses the same methods, tools and materials as the archaic craftspeople responsible for mosaics that have persevered through thousands of years of rapidly changing human civilizations. The artist says he enjoys the process of connecting this ancient art to modern-day subjects.